Did you think cocktail mixing was only for professionals? Xiegaoshan is launching regular cocktail workshops throughout 2008, featuring fun facts about cocktails and plenty of opportunity for your own cocktail mixing. Learn how to layer cocktails, create cocktail decorations and surprise your friends with your own creations. More info here. A new addition to the luxury alcohol landscape of Shanghai, Xiegaoshan is dedicated to providing the highest possible quality in rare and exotic liquor to chinese and expatriate customers as well as to bars and restaurants. Initially, we introduce the product line of Combier, a traditional French distillery based in Saumur and founded in 1834. Combier is the original inventor of Triple Sec and internationally recognised for its fine spirits and distillates. 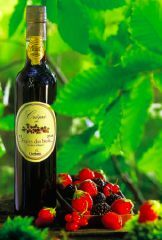 Its luxurious liqueurs continue to garner prizes and awards in international trade shows and competitions. Next to essential ingredients for mixing cocktails and fruity liqueurs, Combier's flagship product is the Royal Combier digestif, an exquisite marriage of orange and cognac. 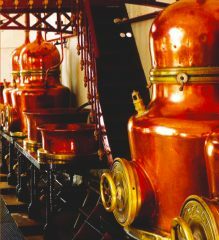 In the distilling room, the swan-neck alembic stills (parts of which carry Eiffel's signature) and the "spirit" tubs are not only pleasant to look at - they are the memory of the Combier production method. It is here, in copper-clad silence guarding a well-kept secret, that the rich and fruity crèmes, which have brought Combier prizes and much acclamation, have been created for more than 150 years. Slowly pour a small amount of Crème into a Champagne flute, then gently fill with Champagne or sparkling wine. If necessary, stir with a fine whisk.